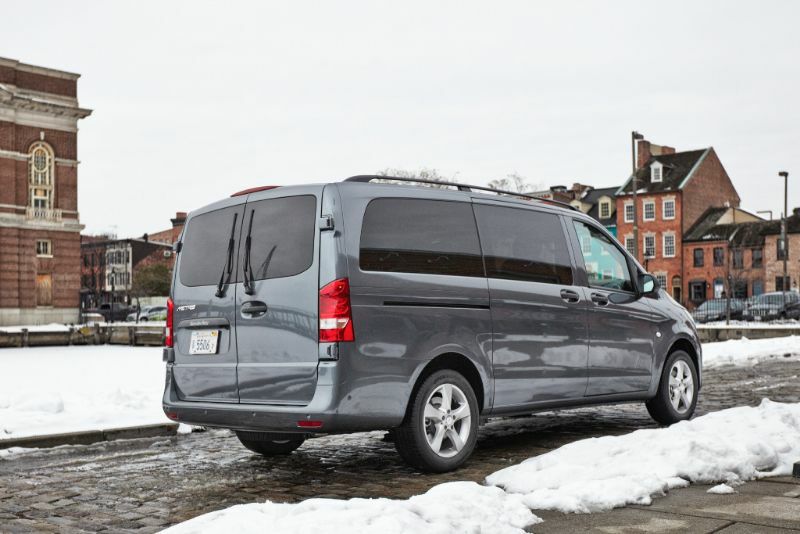 The 2018 Mercedes-Benz Metris is a cargo or passenger van that does well for commercial purposes but leaves a bit to be desired in its passenger configuration. Overall, the interior is spacious, and the van feels classy with European styling. The Metris was originally created for the European market, but those in North America can also take advantage of it. In terms of exterior size, the Metris is similar to the Chrysler Pacifica and other minivans, but that is where the similarities to a minivan end. Every 2018 Metris for sale in the United States uses a 2-liter 4-cylinder engine that is turbocharged and delivers 208 horsepower along with 258 pound-feet of torque. It has a 7-speed automatic transmission along with rear-wheel drive. The Metris has well-weighted steering to deliver an athletic feel. Unsurprisingly, this van is not necessarily fun to drive, but neither are its competitors. 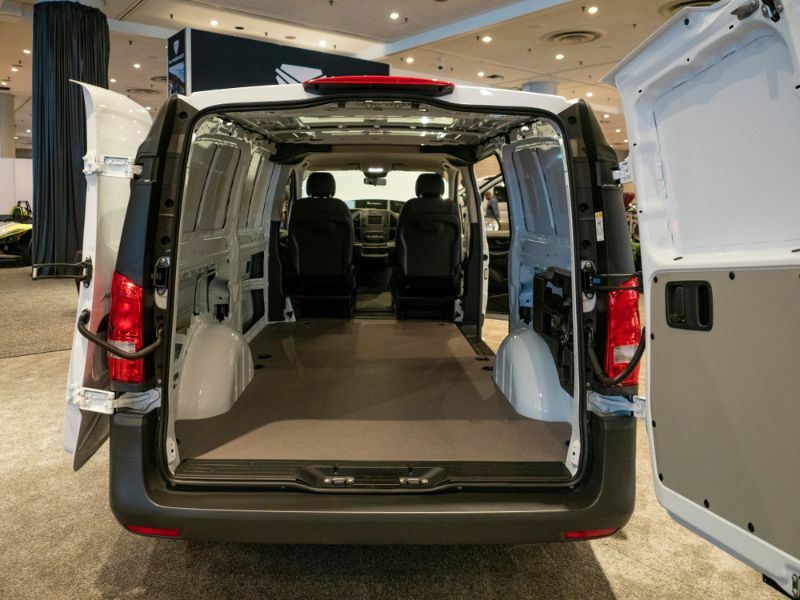 The maximum payload capacity of the Metris is 2,500 pounds when it is a cargo van. It can also tow as much as 5,000 pounds. 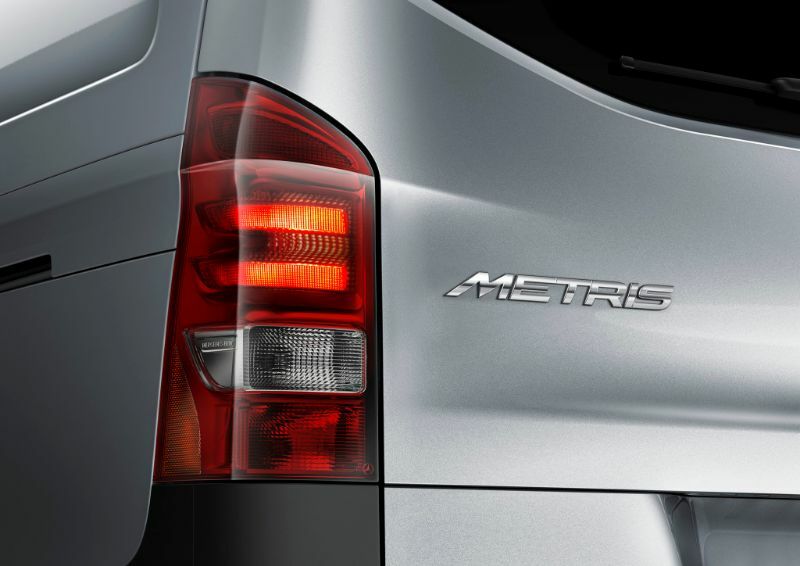 The Metris can deliver average fuel economy. The cargo van gets 21 city, 24 highway, and 22 combined mpg. However, the passenger version gets 19, 23, and 21 mpg, respectively. It also features a stop-start system that helps these numbers. The passenger version of the 2018 Mercedes-Benz Metris has space for seven passengers. Both rear rows are bench seats that will not fold and are heavy when you remove them. Without the passenger-version adjustments, the Metris is spacious, perfect for upfitting to meet your needs. In the form of a work van, the Metric delivers 186 cubic feet for your cargo with a range of storage options. As a passenger van, you still get 38 cubes behind the third row. The Mercedes-Benz Metris will not win any awards for its styling since it has the basic appearance expected of a van. The front end is fairly streamlined, and you can opt for side-hinged doors or a large lift-up tailgate in the rear. The interior focuses on practicality but does include enough cup holders for most people. The front seats of the 2018 Metris are designed for all-day comfort and can include heaters. Mercedes-Benz kept the starting price for the Metris low by keeping the base model relatively simple. The value trims come with power windows, USB ports, Bluetooth, and audio. You can upgrade it with cruise control, improved audio, a rear window defroster, power-sliding passenger side doors, painted bumpers, and alloy wheels. Most trims have those features included. 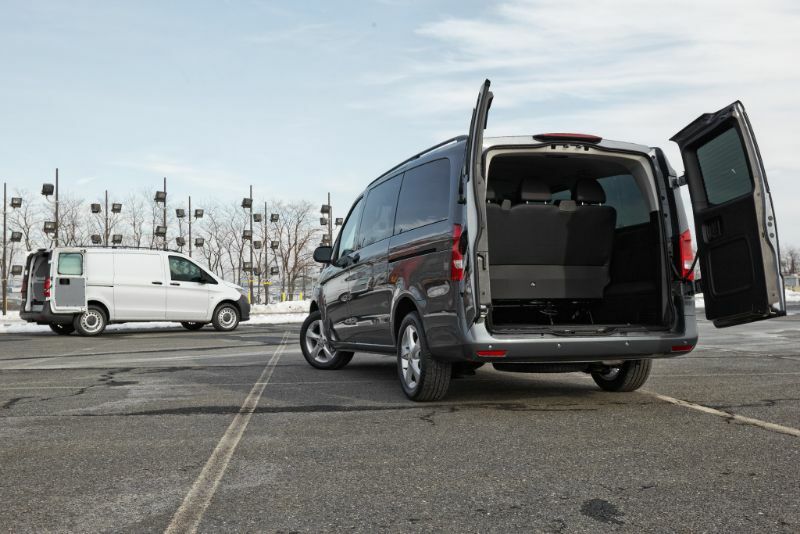 For a commercial-oriented van, the 2018 Mercedes-Benz Metris stands out in terms of its range of available safety features. It comes with six airbags in the cargo van and eight in the passenger van. You can also enjoy innovative features, such as crosswind assistance and a drowsiness monitor. You also can add advanced safety features, such as automatic emergency braking, blind spot monitoring, and active lane control.